With a name like Soupergirl, I had to visit this restaurant. 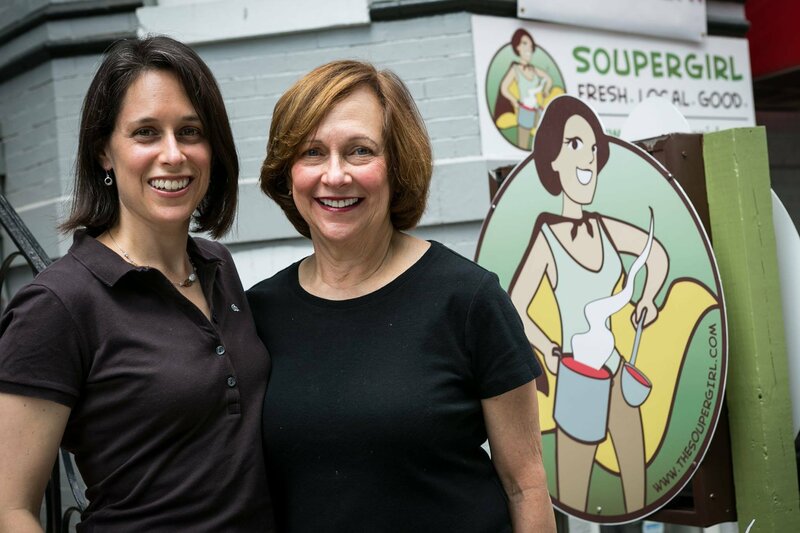 This 100% vegan spot is the exciting creation of former comedienne turned soup-maker Sara Polon (aka “Soupergirl”) and her mother Marilyn (aka “Soupermom”). They have no formal culinary training but they don’t care. They’re on a mission to fix our broken food system–and they’re doing it in spades. Their take-out store is appropriately located one block from the DC Improv Comedy Club. I had a pleasant exchange with Leslie, the Soupergirl COO, prior to my visit. She was prompt in her reply and courteous. Excellent first impression. She suggested I visit their full service restaurant in D.C. so off I went. When I entered Soupergirl, I was greeted by the manager Ellen. She was as friendly and welcoming as a hot bowl of soup in the winter. 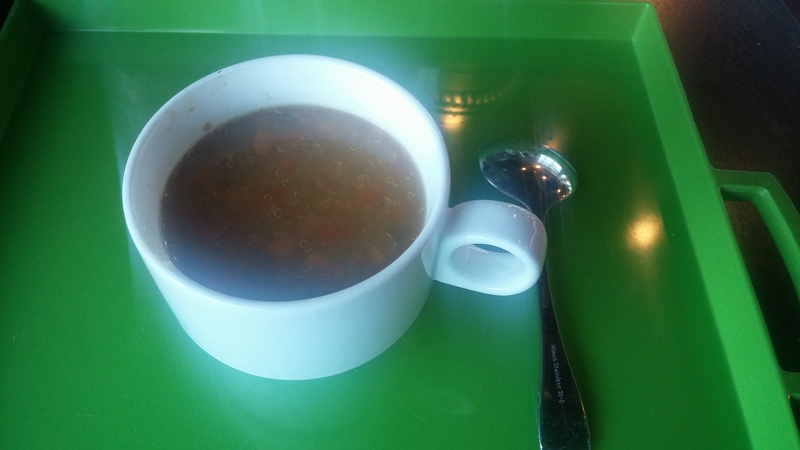 When I asked for recommendations, she pointed me to a soup tasting station–large pots of soup in the dining area that allow customers to sample their soups. Wonderful idea! I chose the Curried Quinoa Roasted Sweet Potato Soup. It was hearty and flavorful. The other soups I tested were equally delightful and heart-warming in more ways than one. The restaurant is colorful and cheerful. You’ll get energy from the soup and the people. It was busy but that didn’t stop Ellen from asking an employee to cover for her so she could speak with me. When I visit restaurants, I look for people going above and beyond to ensure quality customer experiences. Ellen sat with me for 20 minutes, answered my questions, and spoke glowingly about Soupergirl’s mission, community service, and success. Souper stuff. This mother-daughter duo and their team of soup makers have done an outstanding job growing their business, especially considering they started without experience. They have a huge kitchen next door to the restaurant where they prepare their deliveries. Soupergirl makes eating veggies more fun for people who don’t crave veggies but understand their importance. By showing people they can enjoy soup without meat, the meals may serve as a gateway for customers to explore more plant-based eating. If nothing else, their food helps people eat healthier and reduces greenhouse gas emissions. Soupergirl cares about its community too. The team donates to food banks like Martha’s Table and the Capital Area Food Bank to help people in need. Although well-intentioned, it’s never sensible to donate food made from animals to help people because it’s causing suffering to alleviate another form of suffering. That’s what makes Soupergirl special. They’re donating humane, sustainable, ethical, and healthy food. It’s a perfect model. 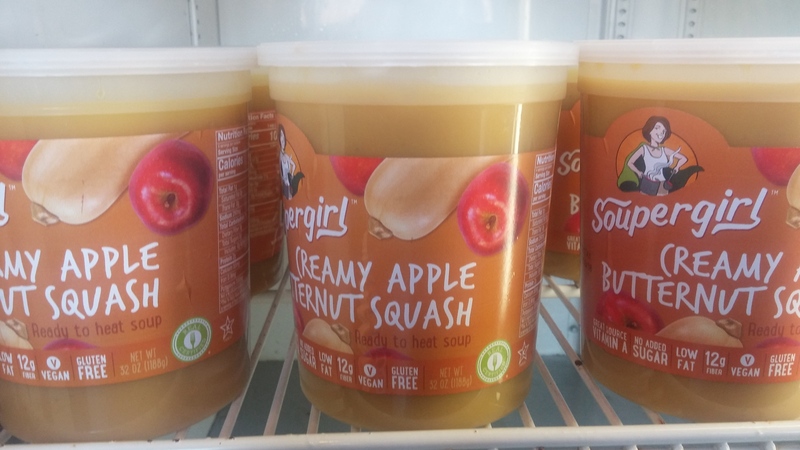 Their exotic, fresh, never frozen soups are sold in 58 locations throughout the United States including Whole Foods and Costco and delivered throughout the United States, including the Soupergirl “Cleanse” which provides weeks of soup to help people live a healthier lifestyle. With more than 100 soups to choose from, there’s a favorite for everyone. Soups include Smoky Two Bean Chili, Wheat Berry Minestrone, Mushroom Barley, Pumpkin Split Pea, Red Lentil Beet, and many more. You can also feast on the Caramelized Onion and Mushroom Sandwich or the Sloppy Jane Sandwich. You likely won’t suffer eating the Chocolate Chip Cookie or Rice Pudding for dessert either. Soupergirl exceeded expectations and lived up to the name. It was an honor to get to know this inspiring team of professional women changing the world one soup at a time. I highly recommend the soup whether you visit their restaurants, buy it from a grocery store, or order for delivery. I’m souper excited about their future. Excellent mission. Good people. Fantastic service. Delicious soup. 100% plant-based. Sara Polon is funny but her restaurant is no joke.